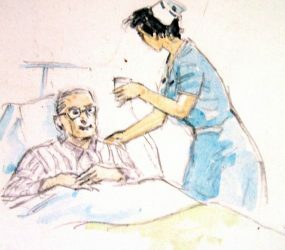 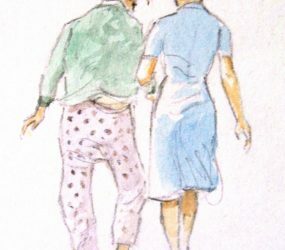 During a hospital stay, illustrator Chris D Watkiss painted and sketched daily ward life. 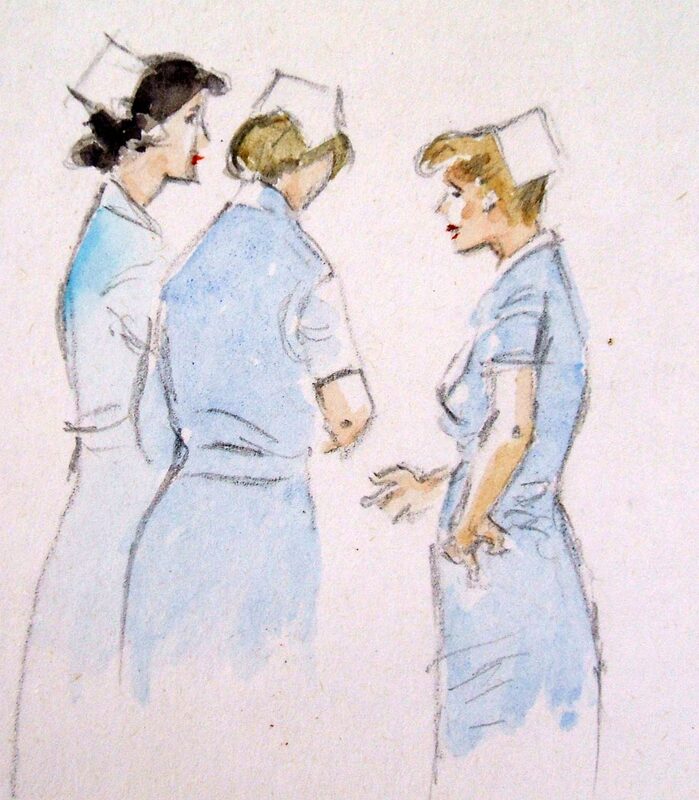 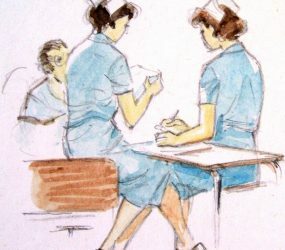 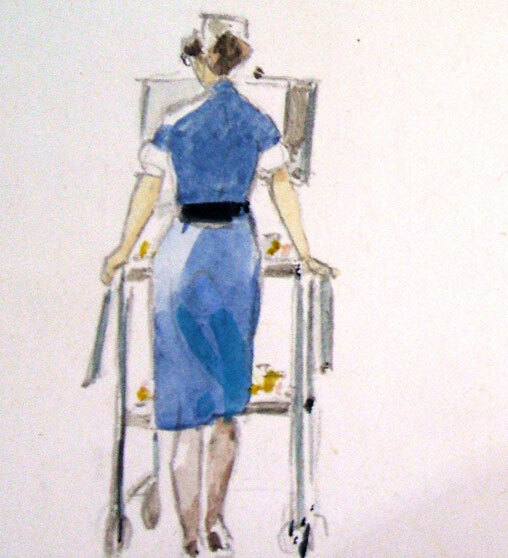 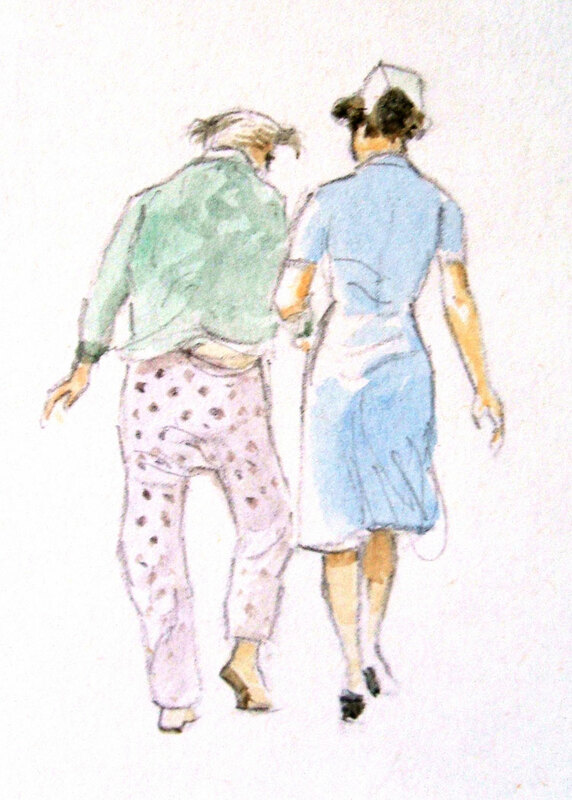 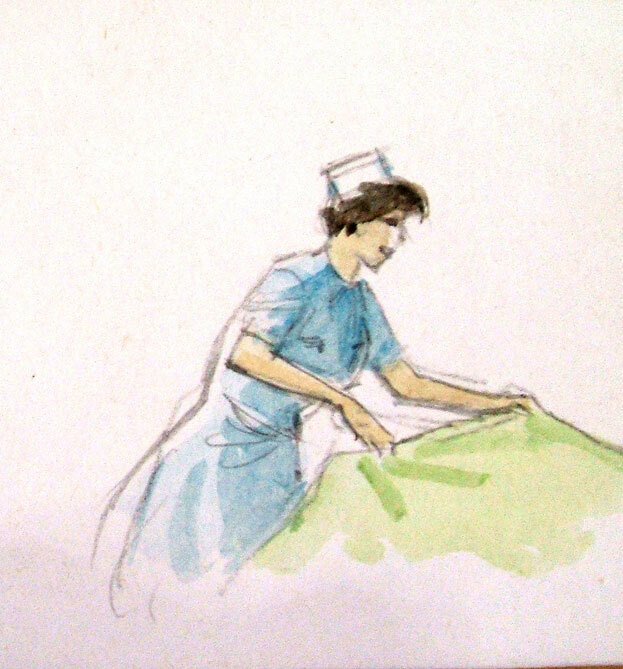 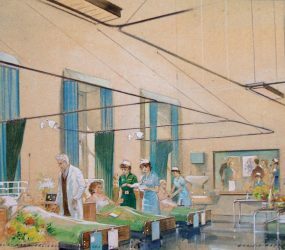 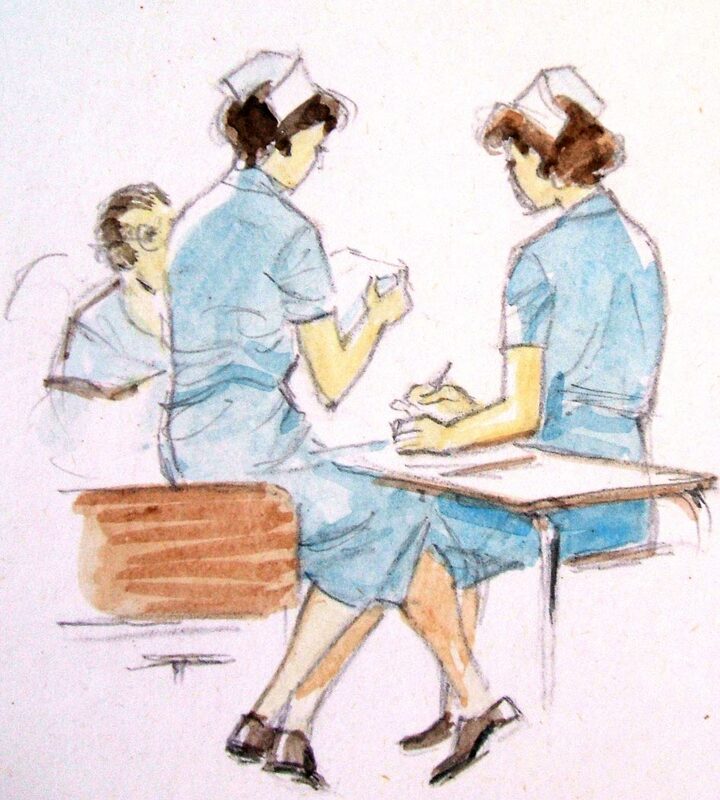 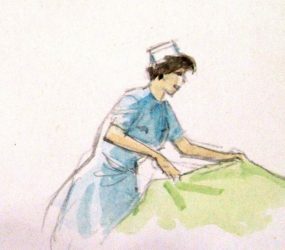 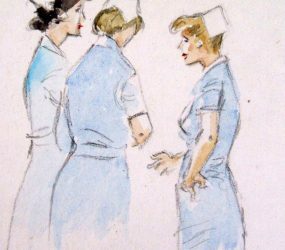 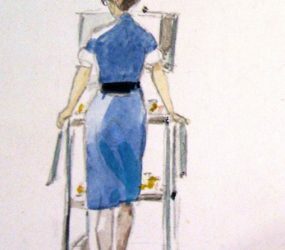 Entitled ‘Queensbury Ward, Salisbury Infirmary Oct 1982’ the watercolour on paper drawing is surrounded on the mount by many smaller studies (seen below) of nurses and patients on the ward. 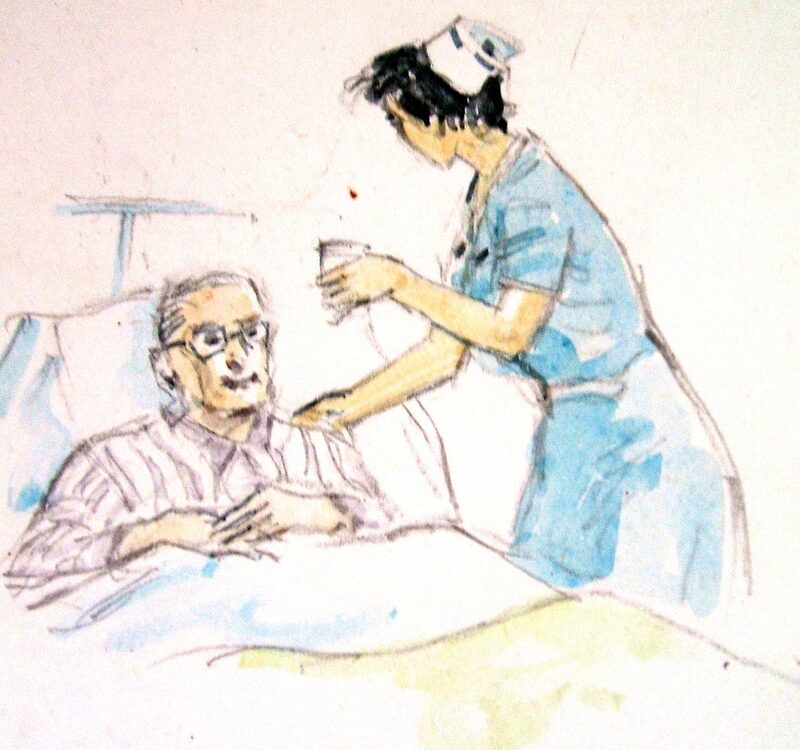 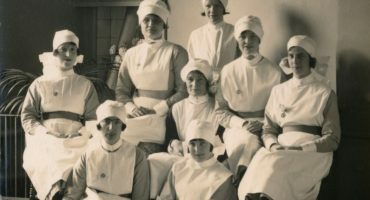 These images surely reflect the kindness and care he received from staff on the ward. 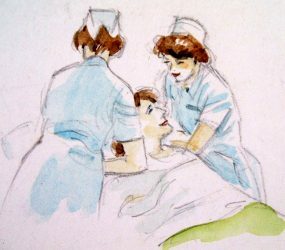 With each one you can imagine a small scene being played out. 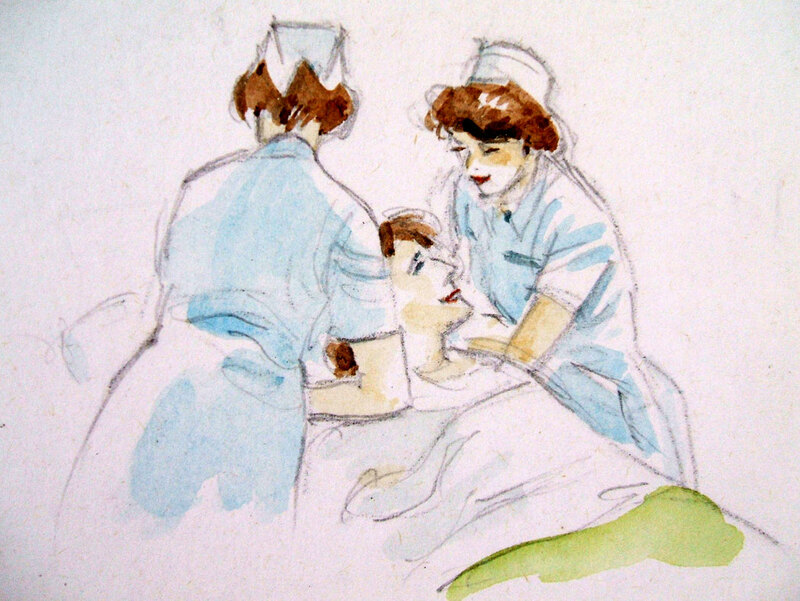 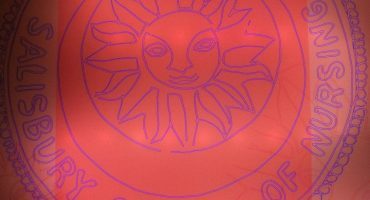 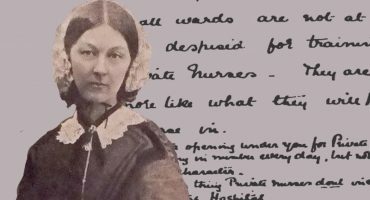 Chris wrote on the drawing, ‘From sketches made whilst a patient and receiving excellent attention’. 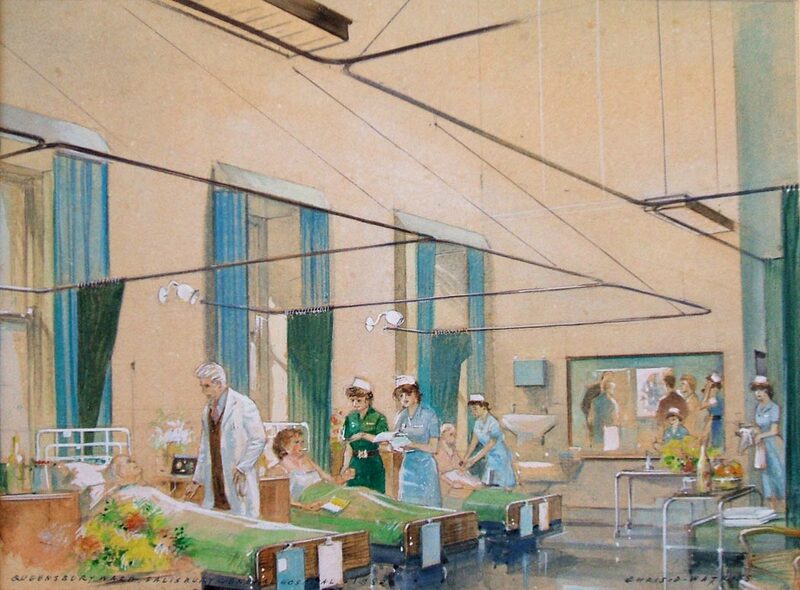 Another watercolour painting in the hospital collection, by Chris, is the view from Queensbury Ward window across the rooftops from Salisbury Infirmary.